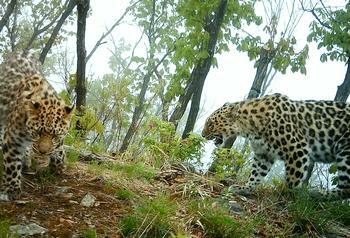 WASHINGTON, DC, November 11, 2013 (ENS) – A multi-million dollar grant supporting Russia’s Conservation of Big Cats project is the first to be awarded by the funding agency Global Environment Facility directly to a nongovernmental organization. The Global Environment Facility’s governing Council Friday approved a total of US$238 million for global environmental projects, including a $12.7 million grant through World Wildlife Fund-US for a unique project to protect Russia’s big cats. An independently operating financial organization, the GEF is the world’s largest public funder of projects to improve the environment. It provides grants for projects related to biodiversity, climate change, international waters, land degradation, the ozone layer, and persistent organic pollutants. World Wildlife Fund-US will use the funding to conserve unique landscapes and ecosystems in the Russian Far East, Altai-Sayan, and North Caucasus. These regions are critical to the survival of the critically endangered Amur tiger, snow leopard, Persian leopard and also the Far Eastern leopard, of which only 30 animals remain in the wild. Previously, GEF grants were awarded only to recipient nations through international institutions such as the World Bank and the United Nations Environment Programme. But during this session, the Council formally welcomed both WWF-US and Conservation International as GEF project agencies, allowing them to directly access GEF funding. 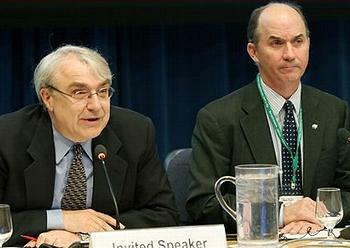 Carter Roberts, president and CEO of World Wildlife Fund-US, said his organization is proud to join the GEF partnership. “We commit to work with the GEF and leverage our partnerships and resources to help developing countries address some of the biggest challenges of our day. Natural resource depletion and climate change continue to destabilize ecosystems. We need a whole new set of partnerships and innovations to ensure a future in which both people and nature thrive,” said Roberts. WWF offices around the world have been involved with the design or execution of more than 100 GEF projects over the past 20 years. Conservation International has worked with the GEF since its inception in 1991 in endeavors ranging from engaging as a member of the GEF nongovernmental organization network to supporting the execution of approximately $80 million in GEF funding in the past seven years. Overall GEF grant funding approved by the Council will support projects addressing climate change, biodiversity, international waters, land degradation, chemical pollutants, and wildlife conservation. The approved funding will support 41 projects in 69 recipient countries in Africa, Asia, Europe and Central Asia, Latin America and the Caribbean, including 13 least-developed countries and 19 small-island developing states. GEF support will be increased by $1.72 billion in cofinancing, which includes contributions to projects by recipient countries and nongovernmental organizations. Every dollar in GEF grants provided by donor countries generates more than $7 in cofinancing, a ratio that continues to improve as cofinancing support for GEF projects increases. The international gathering was pleased by the news that the United States has joined the Minamata Convention on Mercury, becoming the first country committed to the newest environmental convention eligible to receive GEF funding. “I believe all these events indicate the continued strong demand for GEF as an important player in the global environment, now and in the future,” GEF CEO and Chairperson Naoko Ishii told the Council. The latest work program brings to $3.2 billion the total in GEF grants under the four-year GEF5 funding cycle, which ends next June 30. Deliberations on the GEF6 cycle beginning July 1, 2014, are continuing, with decisions by donors on the funding replenishment to be made next spring and put before the next gathering of the GEF Assembly of member nations in Mexico for final endorsement.